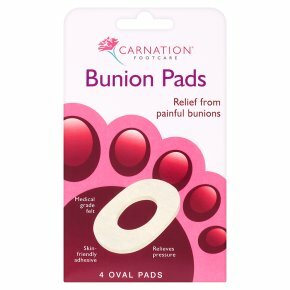 Directions for Use Relief is best achieved by placing the centre hole of the pad over the centre of the bunion. 1. Ensure skin is clean and dry. 2. Peel off backing paper and apply pad firmly to the skin. 3. Use each pad once only, change daily or as necessary. Caution<br>People who have diabetes or circulatory disorders should seek professional advice before use.